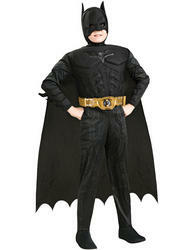 Size Choose Size Large 42-44"Medium 38-40"XL 42-46"
The ideal villain costume! In the latest Batman film, The Dark Knight Rises, Batman has a new arch nemesis, the robotic looking terrorist Bane who is hell bent on destroying the doomed Gotham city. 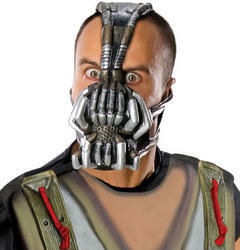 If you aspire to look like an evil villian then look no further than this licensed 'Bane' Fancy Dress Costume. 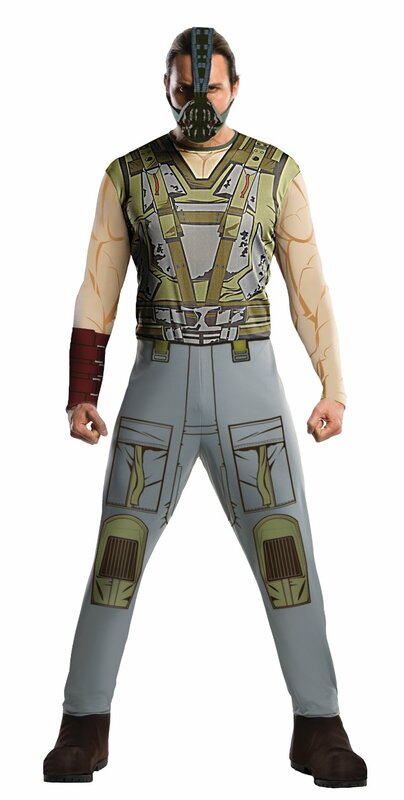 Included is a printed 'Bane' character jumpsuit with grey combat trousers with pocket detailing to the front and printed knee pads, the top of the jumpsuit is detailed with a utility vest and belt. 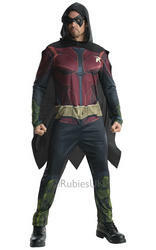 Completing the look is a 'Bane' mask like the one worn in the Dark Knight Rises film which is made from comfortable fabric and fits over the head covering the mouth. A fantastic Bane costume to prepare you for a Halloween fancy dress party or to dress up at a Batman or superhero and villians event.